What Are the Tax Savings on Pre-Tax Flexible Spending Accounts? Flexible spending accounts (also referred to as FSAs) are savings programs designed to help you pay for necessary expenditures such as medical, dental, and childcare expenses. FSAs must be set up through your employer, so you can set aside pre-tax dollars to help pay for these necessary expenses. Your contributions to an FSA plan are set aside pre-tax. According to Cindy Hockenberry, Director of Tax Research and Government Relations at the National Association of Tax Professionals, "The amount of the benefit is subtracted from your gross wages before the federal income tax withholding is computed." In addition to reducing the amount of income tax you pay, FSA contributions also reduce your payroll or FICA taxes, which will constitute a fair amount of savings on your part. "No employment or federal income taxes are deducted from your contribution," explains the IRS in Publication 969. This is the only way that you can actively reduce your payroll tax, short of taking a cut in pay. FSAs come in two varieties. There are the medical FSAs which cover your medical and dental expenses, and dependent care FSAs that cover the daily cost of caring for your children. Due to the escalating cost of medical care and drug costs today, medical FSAs are particularly advantageous. Medical expenses are tax deductible only when your expenses exceed 7.5 percent of your adjusted gross income. It's worth noting that you must be able to itemize your expenses in order to claim these outlays as deductions. Medical FSAs reduce your taxable income right off the bat, and contributions in a medical FSA can be used to cover expenses that would not be tax deductible, such as over-the-counter medications. Dependent care FSAs are used to set aside pre-tax dollars to pay for childcare but also includes adult day care services. This is an important benefit today because of the "sandwich generation" that must care for their children as well as their ailing parents. Qualifying dependent care expenses allow you to work, or to be looking for work and must be for the care of a qualifying person (usually a dependent). A big drawback with FSAs is that you must use all of the money you have set aside each year, otherwise, the contributions are forfeited. These "use it or lose it" rules were recently relaxed by the IRS. 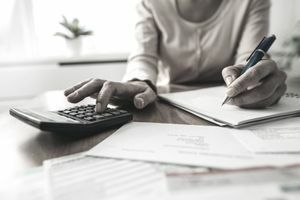 Kay Bell of the IRS explains that the IRS will allow FSAs to pay out claims up to two and a half months after the end of the plan's benefit year. However, plan administrators are not required to do so. As an employee, you should ask your human resources representative if any of their FSA money can be carried over to the following year.